In an unusual step, German intelligence officials have issued a public warning about what they said are thousands of fake LinkedIn profiles created by Chinese spies to gather information about Western targets. On Sunday, Germany’s Federal Office for the Protection of the Constitution (BfV) held a press conference in which it said that it had discovered a wide-ranging effort by spy agencies in China to establish links with Westerners. The agency said that it undertook a 9-month investigation, during which it identified 10,000 German citizens who were contacted by Chinese spy-run fake profiles on LinkedIn. Across Europe, the number of targets could be in the hundreds of thousands, according to the BfV. The main targets of the operation appear to be members of the German and European Union parliaments. 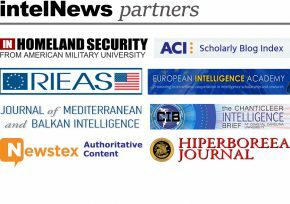 Also targeted are members of the armed forces, lobbyists and researchers in private think tanks and foundations in Germany and across Europe. These individuals were all targeted as part of “a broad attempt to infiltrate Parliaments, ministries and administrations”, said BfV Director Hans-Georg Maassen. He added that the fake LinkedIn profiles are of people who claim to be scholars, consultants, recruiters for non-existent firms, or members of think tanks. Their profile photographs are usually visually appealing and are often taken from fashion catalogs or modeling websites. During the press conference BfV officials showed examples of what they said were fake LinkedIn accounts under the names “Rachel Li” and “Alex Li”. The two identified themselves as a headhunter for a company called RiseHR and a project manager at the Center for Sino-Europe Development Studies, respectively. The information on these accounts was purely fictitious, said the BfV officials. Individuals who have been targeted by the Chinese include European politicians and senior diplomats, according to the Germans. Many were invited to all-expenses-paid conferences or fact-finding trips to China by their LinkedIn contacts, presumably in attempts to recruit them for Chinese intelligence. At the closing of the press conference, the BfV urged European officials to refrain from posting private information on social media, including LinkedIn, because foreign intelligence operatives are actively collecting data on users’ online and offline habits, political affiliations, personal hobbies and other interests. In a statement issued on Monday, the Chinese government dismissed the German allegations, saying that the BfV’s investigation was based on “complete hearsay” and was thus “groundless”. Beijing also urged German intelligence officials to “speak and act more responsibly”.